With key matchups between the USA and Canada this week, hockey has been top of mind both north and south of the border. Fans from either nation are either cheering their respective teams to victory or provide compelling excuses for why things went wrong. In either case, the memory of these olympic matchups will not fade for at least a few days. But for those of us that are disappointed in the end, it may prove a good idea to take a more philosophical view of what transpired rather than let emotions rule the day. 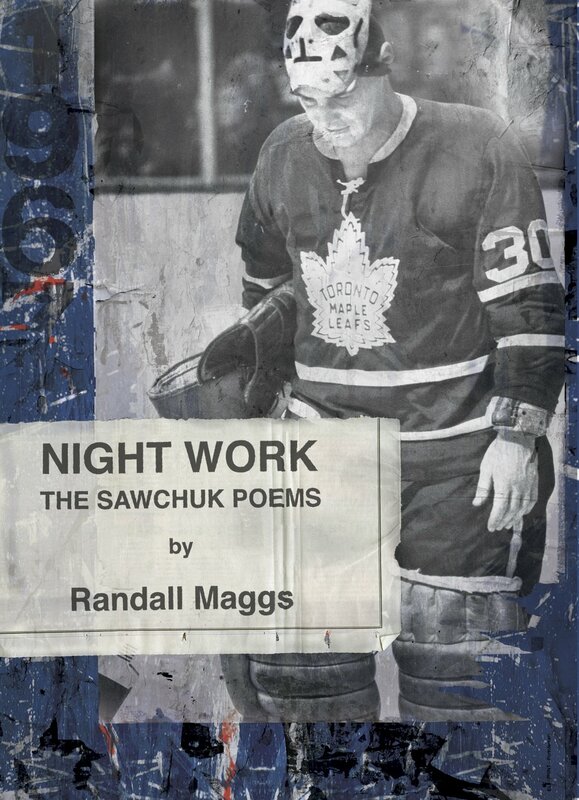 Night Work: The Sawchuk Poems by Randall Maggs provides the perfect jumping off point for such ruminations. Brick Books has provided hockey fans of all loyalties with an insightful collection of poetry focused on a hockey legend that has played for multiple teams on both sides of the border. When talking about Sawchuk, there is no need to mince words. He is simply one of, if not the, greatest goalies of all time. His 103 career shutouts was a record that stood for 39 years and most thought would never be broken. Night Work sheds light on the enigma that is Terry Sawchuk who Stephen Brunt of the Globe and Mail calls the “...[D]arkest most troubled figure in the history of the national game.” Brunt goes on to heap praise on the collection, saying it “...[M]ay be the truest hockey book ever written.” If truth can be measured by the emotions a book dregs up in a reader, then I could not agree more. The unique format of this book is like no other hockey title I have come across, and if sheer blissful escape are what you’re after then this is the books for you. Reading this book will cause any hockey fan to lose themselves for hours at a time in a swirl of deep, rich imagery that you can almost smell. Night Work is magical a piece of art that will leave you thinking about so much more than just the Olympic results.